Ubisoft’s CEO Yves Guillemot has today commented on the forthcoming reveal of Nintendo’s Wii successor, codenamed Project Café, stating his belief that it is “a fantastic platform” and one that he predicts “will be extremely successful. 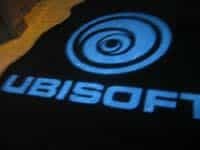 Speaking during an investor call today, Guillemot commented that the work already done by Ubisoft’s development teams on titles for current HD consoles will be able to be utilised for Nintendo’s forthcoming platform. Whilst Nintendo haven’t officially released any technical specification for their upcoming console, speculation currently suggests that it packs more punch than Microsoft and Sony’s rival systems. Nintendo are due to unveil it to the world at their E3 Media Presentation on June 7th.